We take a look at the 7 highest career points of MS Dhoni in celebration of his 37th birthday. 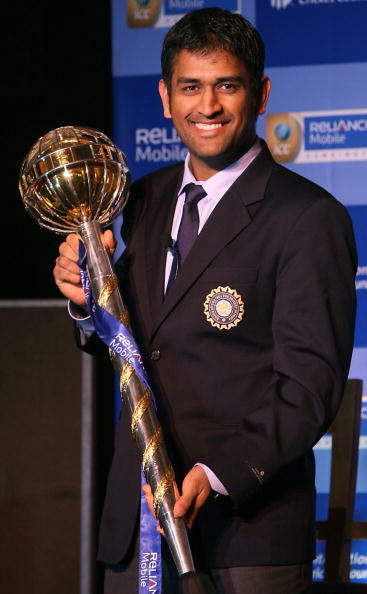 India’s most successful captain and wicketkeeper of all time, MS Dhoni celebrates his 37th birthday today (June 7). Dhoni is currently on the tour to England with Team India and celebrated his birthday with teammates and family in Cardiff. Dhoni made his India debut in ODIs in 2004 against Bangladesh and Test debut against Sri Lanka in 2005. He rose in ranks in limited overs cricket as a dashing big hitter with a penchant for hitting huge sixes and finishing games like it was done never before. 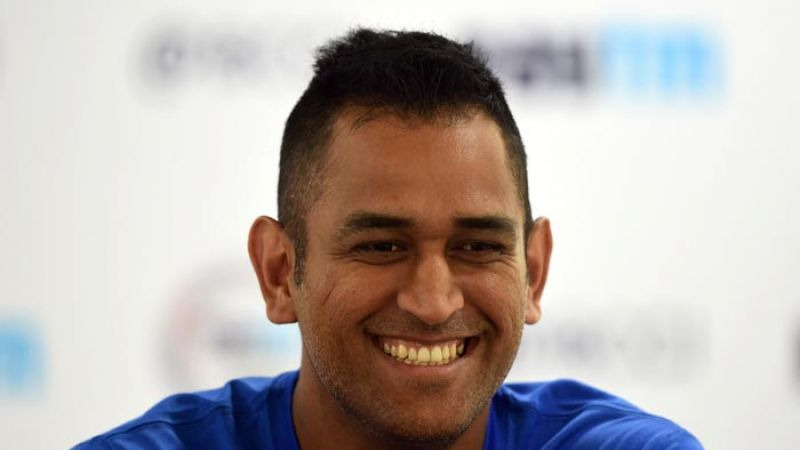 Dhoni has had a brilliant career so far and now that he is in the twilight of his career, he has caught a second wind with the sole focus of playing in the 2019 World Cup in England. Here’s wishing a very Happy Birthday to MS Dhoni. MS Dhoni had just found his footing in the Indian team when out of nowhere he was entrusted with the captaincy of a young Indian team for the inaugural World T20 in 2007 to be held in South Africa. 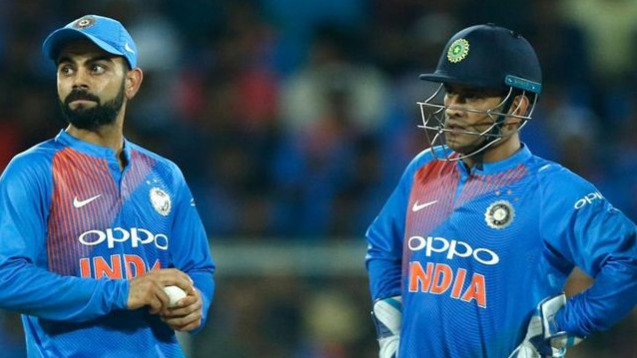 The honor came to Dhoni when seniors like Rahul Dravid, Sachin Tendulkar, and Sourav Ganguly opted to not play the T20 format internationally and Sachin recommended Dhoni’s name for the captaincy. India was the perennial underdogs of the tournament as they had played the least number of T20I games till then. 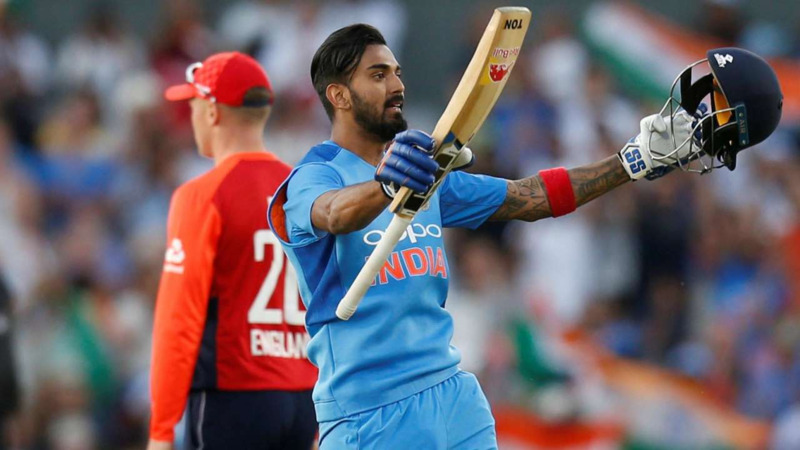 After their first match was rained out, India won on bowl out against Pakistan after tying the match, losing only to New Zealand in Super 8s, but reached the finals, where they faced arch-rivals Pakistan again. Nobody remembers how many runs Dhoni scored in the tournament or what was his highest score. Everyone knows how well RP Singh bowled, six sixes from Yuvraj Singh off Stuart Broad, Rohit and Karthik’s brilliant cameos and Gautam Gambhir’s brilliant innings in the finals. But everyone knows how well Dhoni led the team, binding them in one unit and that move of giving the last over to Joginder Sharma in the finals against Pakistan. India became the first team to lift win both the ICC World Cup and ICC World T20 defeating Pakistan in the finals and Dhoni lifted the trophy. MS Dhoni had led India full-time in all the formats for 3 years now and the 2011 World Cup came to India, Sri Lanka and Bangladesh. It was immense pressure on MS Dhoni and the Indian team in all to win the trophy at home. MS Dhoni’s India lost just one game against South Africa and tied one against England in the tournament. They beat defending champions Australia in the QFs to end their reign, defeated arch-rivals Pakistan in SFs and clashed with Sri Lanka, who made it to the finals for the second consecutive time at Wankhede Stadium in Mumbai. Chasing a dicey total, Malinga removed Sehwag and Tendulkar in quick succession and after a short partnership, Kohli walked back to the pavilion as well. However, Dhoni who had done nothing of notice with the bat promoted himself before a red-hot Yuvraj Singh to tackle Muralitharan. Gambhir scored 97 and then Dhoni (91*) and Yuvraj took India to their second ICC World Cup title, as Dhoni finished the match with a six that has been framed forever. MS Dhoni was a brilliant manipulator of situations when it came to captaincy and was extremely lucky. The best show of how luck came to Dhoni in the finals of the ICC Champions Trophy 2013 in England. India was playing England in the finals, which was reduced to 20 overs per side due to rains. India put up a paltry total of 129/7 with Kohli making 43 and Jadeja making 33. England was cruising along with Morgan and Bopara taking England towards a comfortable win when Dhoni threw the ball to Ishant Sharma, who had been expensive till then. But luck shined on Dhoni and Ishant and he removed both Morgan and Bopara in two balls and then Dhoni choked the rest of batting to win the final by 5 runs and lift the Champions Trophy to complete the trio of ICC trophies. 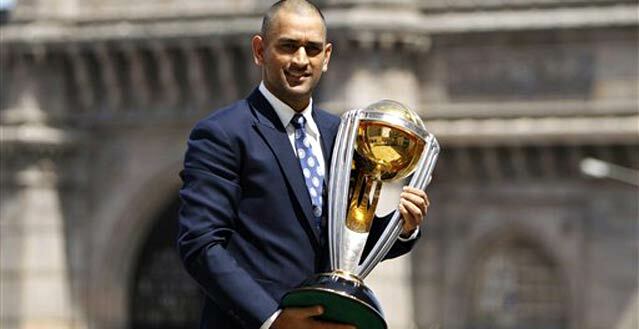 Dhoni is also the only captain to win all the three ICC trophies. When he was leading India, the team was performing very well and was virtually unbeatable at home in Tests. He took over from an injured Anil Kumble during the 2008 Border-Gavaskar Trophy against Australia and when Kumble retired, Dhoni became full-time captain of India in all the three formats. His biggest achievement as captain came when India ascended to the no.1 ranking in ICC Test ranking in December of 2009. His achievement lasted till 2011 tour to England, but he had proved that this Indian team should not be messed with and could take on the best of the best with ease. MS Dhoni had replaced Dinesh Karthik in 2005 in the Test team and after a decent series against Sri Lanka; he was chosen to play in the Test series in Pakistan. In the second Test in Faisalabad, India was left in a dicey situation at 281/5 replying to Pakistan’s 588. Dhoni was joined by Irfan Pathan and with Dhoni leading the partnership, the duo put on 210 runs for the 6th wicket. 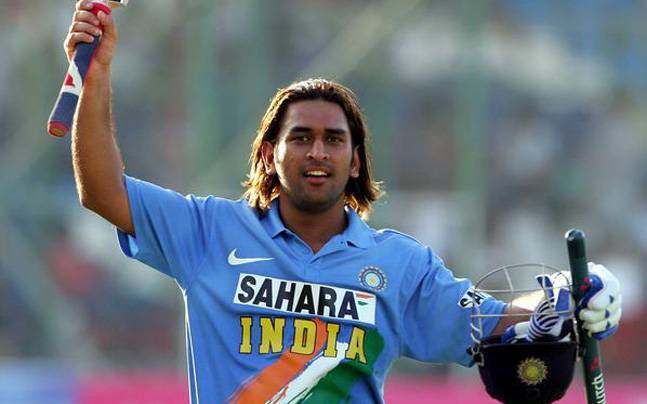 MS Dhoni scored his first century in Tests against a Pakistani attack consisting of Mohammad Asif, Shoaib Akhtar, Abdul Razzaq, Danish Kaneria and Shahid Afridi. Dhoni brought up his century in just 93 balls after he had scored his fifty in just 34 balls. His century and Irfan’s innings of 90 took India to 603. But it was clear that a special talent had arrived in cricket and was there to stay and his name was MS Dhoni. MS Dhoni has seldom played in the top order after becoming captain of the team and is regarded as the best finisher of all time in ODI cricket. But during his initial years in the team, when he played under Rahul Dravid and sometimes Virender Sehwag; Dhoni was promoted to the no.3 spot on occasions and has even opened the innings once. In a 2005 bilateral series match against Sri Lanka in Sawai Man Singh Stadium in Jaipur, Sri Lankans put up a target of 299 runs after Sangakkara scored 138* for them batting first. Indian captain knew that he had to do something after Sachin Tendulkar was dismissed for just 2 by Chaminda Vaas. Therefore, Rahul Dravid promoted MS Dhoni to no.3 spot to accelerate the scoring rate. Dhoni did just that and scored his second ODI score and his highest score ever of 183* in just 145 balls with 15 fours and 10 sixes. He was the first Indian batsman to hit 10 sixes in an ODI innings, breaking Sachin Tendulkar’s record of 8. This innings cemented him as a big hitter of the ball and he has continued to do so with amazing consistency. Not only for Team India in international cricket, but also in the Indian Premier League and Champions League T20 arena, has MS Dhoni had a big impact. Dhoni was the most expensive player bought in the first ever IPL auction in 2008 and became the captain of Chennai Super Kings. He remained with the franchise till 2015, when it was suspended for two years. When the franchise made a comeback in 2018 IPL, Dhoni was once again there to lead them. He has won three IPL title in 2010, 2011 and 2018 for Chennai Super Kings and also won two CLT20 titles for CSK. He is the only captain in IPL to defend his title and wins two championships back to back. 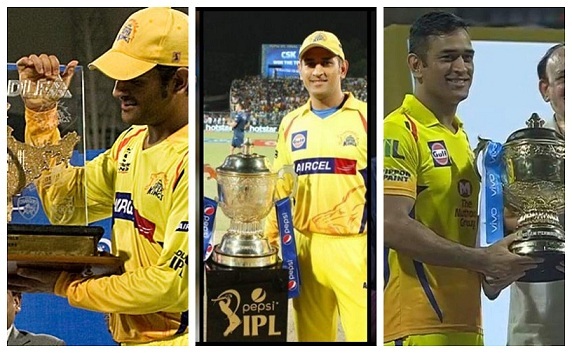 He won another trophy in 2018, as CSK made an emphatic comeback into the tournament. MS Dhoni is amongst the top ten highest scorers in the IPL list, despite playing at no.5 or 6 for most of his career and that is an evidence of his consistency. As MS Dhoni turns 37, we all know in our hearts that time is running out fast on his career and we have just a few handful years more of seeing his brilliance both in front and behind the stumps and we all just want to celebrate and cherish seeing MS Dhoni play for India and in IPL.